The Internet is filled with unlimited number of Hacking software. We have also talked a lot about these hacking software on our past articles. Hence today we have decided to list the best Hacking tools that are free to download. We will also add the download link and tutorials wherever necessary. So let’s begin with our list of 20 best free Hacking Software. Note that these softwares are used for security and academic purpose. Most of them might be banned in your workplace. Hence use them at your own risk. Note: We have divided our list into Wifi cracker, Password cracker, Port scanners and Intrusion detection tools. THC Hydra is a tool for brute force attack from remote login. It is used to perform a dictionary attack on around 50 protocols such as telnet, ftp, http, https, smb, etc. THC Hydra can be paired with Kali Linux or Aircrack-ng for better results. Brutus is the most popular and preferred Password hacking software. It is same as THC Hydra and is used to perform a remote hack. Brutus is also available for Windows Operating system. 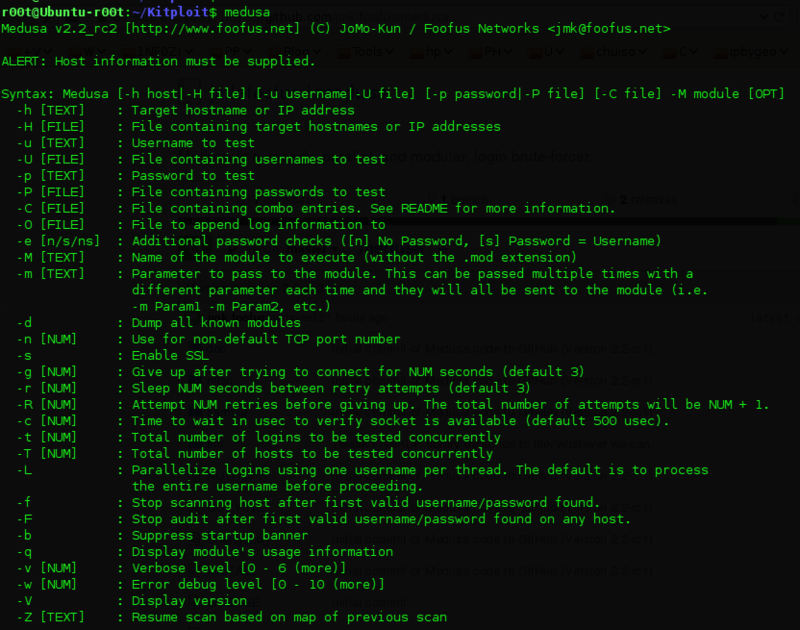 Medusa is one of the fastest password cracker that uses brute force attack. It can support HTTP, FTP, CVS, AFP, IMAP, MS SQL, MYSQL, NCP, NNTP, POP3, PostgreSQL, pcAnywhere, rlogin, SMB, rsh, SMTP, SNMP, SSH, SVN, VNC, VmAuthd and Telnet. Ophcrack is a well known hacking software. It is based on Rainbow tables. Ophcrack is easily available for Windows and Linux platforms. One of the popular feature of Fgdump is that it can even run with Antivirus. It is usually used to retrieve passwords from cache files of the target user. Pyrit is a WiFi hacking tool used to crack WEP WLAN passwords. Below is a indepth YouTube tutorial about Pyrit. Cloudcracker is a password cracking tool which generates passwords using hash files. You need to upload Hash files created by a hash file generator tool like Hashcat. Cloudcracker is an online tool which can be accessed via their official website here. Fern is especially designed for Windows, Apple and Linux users. It was developed for testing network penetration and vulnerability. But now it is used as a major WiFi hacking software. Fern is used to detect major flaws and vulnerabilities on a Wireless network. You can then exploit those flaws to gain access to a network. Cowpatty is a well known name in hacking community. It is an inbuilt tool of Kali Linux and is used for advanced hacking. Cowpatty is compatible with both Linux and Windows environment. Kismet is used to crack Wi-Fi 802.11 a/b/g/n layer2 networks. It is basically a network sniffer and captures packets to determine username and passwords. Kismet is also used to identify hidden networks. You can get Kismet hacking tutorials from their official website. Commview is a certified Wireless analysis tool. It is used by professional experts to monitor wireless networks. Its wireless analysis tool is too powerful and can be used as a tool to exploit networks. Omnipeek is used to capture and analyze data packets. It is same as Wireshark, but is better in capturing packets. With Omnipeek you can even look into browsing history and Login Used Id’s and passwords. As the name suggests, Wepattack is used to hack WEP/WLAN networks. This software is best for hacking old modems and routers. You can also use Wepattack to monitor and analyze data traffic. Netstumbler is used as an exploitation tool to generate major flaws on a wireless network. Once a weak link is identified, it exploits the network and crack it. Netstumbler is available for both Windows and Linux systems. 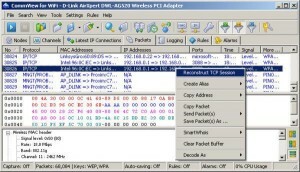 Aircrack is one of the most used WiFi cracking software used for 802.11a/b/g WEP and WPA cracking. It attacks a network by using the FMS attack and recovers data packets. These packets are then gathered and analyzed to recover the WiFI password. It is an open source IP scanner used to scan IP’s connected to a network. It then detects harmful connections. You can also share files using remote desktop connection. NetCop works as a firewall and antivirus and protect your network from illegal packets. This tool is best for users who have highly confidential data and want it to secure from network hackers. It comes with features such as ClamAV Antivirus, Web Cache, Content Filter,IPS/IDS, WAN Link Manager, Bandwidth Manager, Anonymous Proxy Blocker, Wifi Hotspot Controller, SSL VPN, Network Virtualization. Putty is an open source tool developed for Windows encryption and security. It is used to create a secure Remote connection and is used to encrypt SSH, Telnet, and RLogin protocols. OpenSSH is used to encrypt network connections from eavesdropping, connection hijacking, and other attacks. This tool also provides remote login with SSH protocol. OpenSSH is generally used when you have to send data via the Internet from one source to another. TrueCrypt is used to secure your system files and folders from outside threats. It can encrypt any file, folder, drive or partition. TrueCrypt is now discontinued for support, but can still be downloaded. Next articleHow to make google chrome faster?